2008 October 14 Tuesday thru October 19 Sunday. Lots of nice weather this week, along with some sudden thunder storms and heavy rainfall, especially early Saturday morning. 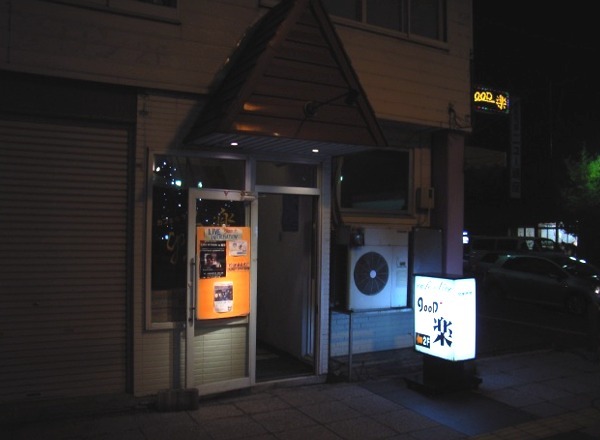 On Wednesday after my last lesson was finished at 21:00, the two students in that private lesson and I, went to a Live House and Karaoke Bar called Good Luck　（Good楽）that is located right across the pedestrian mall from SanBanKan 三番館. I have never been here before but my private lesson students have, so they introduced me to the owner and his wife, who have been operating this very nice place for about 3 years now. Not only do they have the latest Karaoke equipment, but they also have a band set with drums, bass guitar, many other guitars, and maybe even keyboards. I like these kind of hangouts, because I get to hear a lot of local musicians play lots of good music, and I myself even stand in as a singer or bass guitar player from time to time. The prices here are reasonable, the place is new and clean and the owners are very friendly. It is located at 旭川市３条通１４丁目 in the 越知ビル２F. They are open from 11:00 - 16:00 for coffee and lunch time, and then again from 18:00 - 25:00 for a cafe and bar with live music by whomever wants to play some music. I know for sure that I will be going back again and again. If you love live music as much as I do and have never been to this place, please give it a try. On another topic of conversation, Thursday October 16 was Me and Ikuko's 14th wedding anniversary. Fourteen years sounds like a long time, but really it's just the blink of an eye when you have a happy life together. I let Ikuko choose the restaurant for our dinner and drinks celebration, so she choose KinKaRo 金花郎 located on 1 Jodori and within easy walking distance from our home. This restaurant is very very popular and is usually packed with people, but on Thursday night is had a lot of open tables so we didn't have to wait at all. The food of course is very good and that is why it is so popular. The price is a little bit on the high side, but it is well worth the experience. If you like Korean Style BBQ and have never been to KinKaRo before, I think you will like it too. They have two locations that I know of. The one in the photo above/left is the one we always go to which is on 1 Jodori at about 4 Chome, and the other one is just off of 1 Jodori at about 18 or 19 Chome. Both places have exactly the same menu and the same good flavors. They don't take reservations so if you want to go on a weekend or holiday, you better get there before 17:00, and be the first in line. Good products and good service at a reasonable price is all an MBA needs to know about having a successful business. Let the bean counters argue over the nickels and dimes. 2008 October 6 Monday thru October 13 Monday. Another cold and rainy week, until Saturday when the sun came out again and it started to warm up. Monday October 13 was a National Holiday known as 体育の日. I'm not much into exercise or sports anymore like I used to be, so I made plans to drive down to Otaru instead. I took my usual route to the Sea of Japan on Route 94, also known as the Inada Mashike Line 稲田　増毛　線. This is a beautiful drive in any season, but now with the autumn leaves becoming more and more colorful, there were some unbelievably bright reds, yellows and orange colored leaves to be enjoyed along the way. I took my sweet time and drove very slowly so I could fully enjoy the multi-colored tapestry laid out before my eyes. 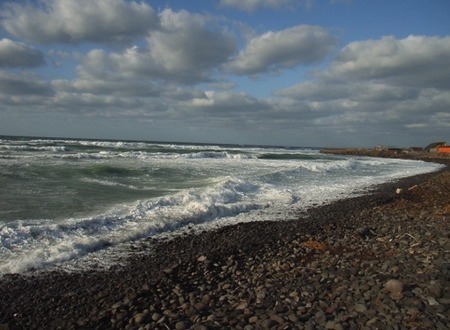 When I got to the beach at Mashike, I was surprised to see how windy it was. When I opened the door of my van, the wind almost ripped it off! Also, the waves were extremely rough and very high, at about 4 to 5 meters. I have never seen the sea this rough at this location before. But then again, I have never been to this location in the middle of October before either. I sat in my van and watched the beautiful but deadly ocean roll and growl with the fury of a woman scorned. The next day, early on Sunday morning, I heard on the radio news that 5 young people from Asahikawa had been walking around on the rocks at Golden Cape 黄金岬 in Rumoi, when they got hit by a big wave. Three of them got out alive, but two of them are still missing. Most likely their bodies will never be found. Nature is beautiful, but if you don't fully understand and respect her, your going to get whacked. I finally arrived in Otaru City at about 18:00, parked my van at the MaxValue open 24 hours supermarket, and walked along the Canal Plaza until I arrived at Otaru Micro Beer in Warehouse Number 1. 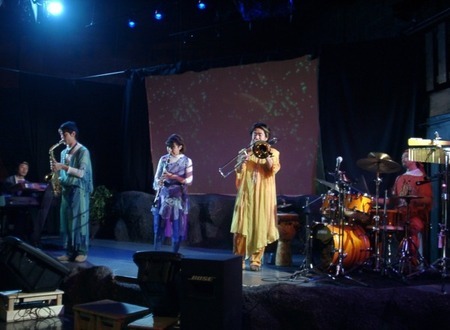 The main reason that I came all the way from Asahikawa on this day, was to see the PALOSIKS perform the new songs from their new CD, which I also bought on the same day. The first time I had the good fortune to meet PALOSIKS was on 2006 MAY 3. I just happened to be in Otaru During Golden Week, because I had cabin fever real bad, and I love the beer they make in Otaru City Hokkaido Japan. A couple of good reasons to make the 470 kilometer round trip, and stay overnight in the HOTEL NOAH. This time I went in October and was able to drink the German Style Oktober Fest Beer that Otaru makes every year, at this time. 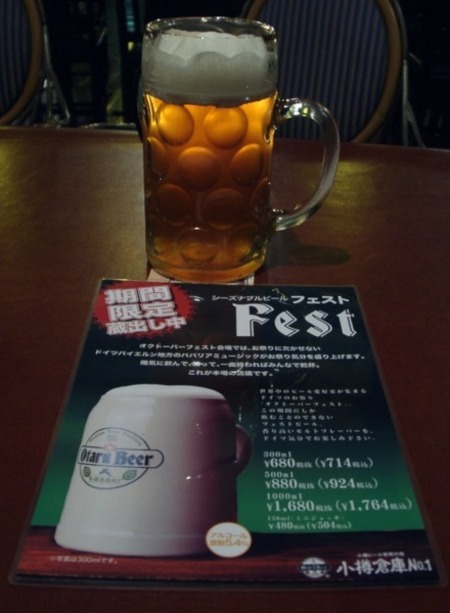 It was the first time that I have been to Otaru Beer in October and the first time I was able to drink this special limited quantity beer. Take a look at the photo on the left to see what I am bragging about. Hokkaido makes WORLD CLASS ALL MALT BEER, and in abundance. By the way, the PALOSIKS new album is called ゆる　ふわ　Relax. You can some songs from the album at the Palosiks MySpace web site by clicking here. I will be writing an album review about it and putting it on this web page of my new web site at the Every Thing Japan Network in the near future. 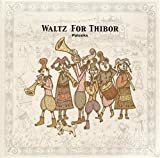 You can also buy their new album from Amazon Co Jp as well as at the Otaru Beer Hall itself. According to the evening addition of the Hokkaido Newspaper, Mt. Asahidake got it's first snow on the mountain peak 初雪冠雪 just today. Wait a minute! It is only September 24! It is time to start wearing warmer clothes again, especially at night. Summer in Hokkaido is extraordinarily beautiful. It is also very short. I hope you enjoyed it again this year, as much as I did. With colder weather approaching rapidly, day by day, I and most other people who live here, will be spending more and more time indoors. It's a good time to do all of the things you have been planning to do, but didn't do, because you have been spending so much time in the great outdoors. In my case, I will be spending more time developing web sites and reading books about how to do that, and reading more books about various other things. For other people, it will be a time to get back to THE classroom and study English or music or flower arrangement or the tea ceremony or whatever. The long winter in Hokkaido makes it easier to stay indoors and really concentrate on the STUDY at hand. Recently, I have been getting a lot of new adult students coming to take a look at my classroom, and then starting regular lessons on a weekly basis. Last week a man and a woman began private lessons every week on Wednesday, starting at 20:00. The man is about the same age as me, and is also a guitar player with a band called LIBERTY and the woman works at a law office. I am also a guitar player so we have a lot in common and we both love many of the same songs. Mostly stuff from the USA rock and roll style of the 1960s and forward from that time. I don't play the 6 string guitar as much as I used to, because I like to play the bass guitar more nowadays. Also, just today, I had two adults come to take a look at my classroom for a free trial lesson. The man is also a guitar player who likes HEAVY METAL, and the woman can play the trumpet and violin. Another interesting thing about these two people, is that they both work at Asahiyama Zoo!!! What a cool job! I love animals too, so I could enjoy a job like that, if ever I had the opportunity to do it. They both found out about my classroom after seeing this web site on the internet. In fact, the man who came today is one of the people who has designed and currently maintains the Asahiyama Zoo Web Site. A very good web site indeed. I have a permanent link to it on the LINKS page of this web site. The main reason they both came to take a look at my classroom today, is because many foreign tourists come to the Asahiyama Zoo every year, and being able to speak English is very usefu, for their jobs. I hope they both decide to come back again and start taking lessons on a weekly basis. I really enjoyed meeting and talking with them today. By the way, the photo in today's blog is of a brand of Japanese Rice Wine made by KuniMare 国稀 which is located in Mashike Town 増毛町. I have been to this rice wine brewery several times, and you can see a photo slide show of Mashike Town by clicking here. 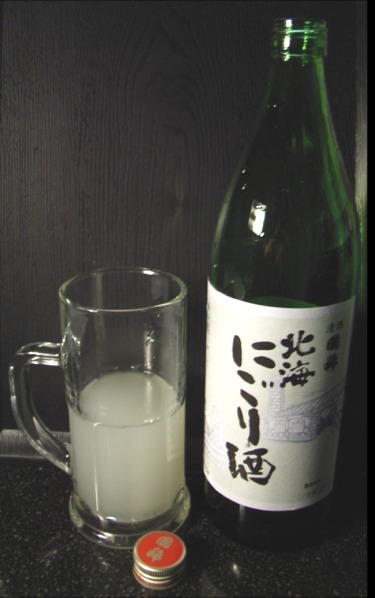 This particular product is called Hokkai Nigori Zake 北海にごり酒 and was made during July of this year. It usually hits the shelves of the supermarkets around September and that is why I am enjoying it right now, as I write this blog. It is not 100% Rice Malt Wine 純米酒ではない but it is raw and needs to be keep cold or it will spoil. It has a sweet smooth flavor and is about 20% alcohol, so it's easy to drink a little bit too much, and get tipsy. As you can see from the photo, it is not clear, but cloudy. The meaning of Nigori is something like "cloudy", and that is why the brew looks something like watered down milk. The perfect drink for this season. If you love Japanese Rice Wine the way I do, please try this product. 2008 June 10 Tuesday thru June 13 Friday. 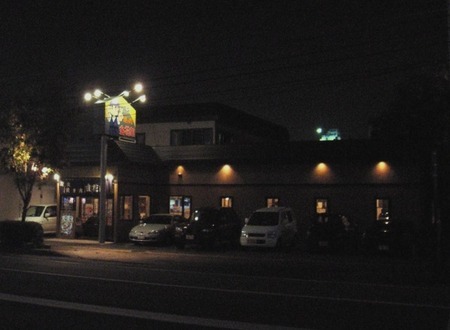 The photo above/left is of our favorite Grilled Chicken やきとり restaurant. It is known as ToriSen とりせん and you can get a feel for the place by viewing the photo in today's blog. The shop has been around for a long time, ever since I first came to this town 18 years ago, and most likely much longer than before that time. The entire staff is female, except for one older guy, who is the main chef. 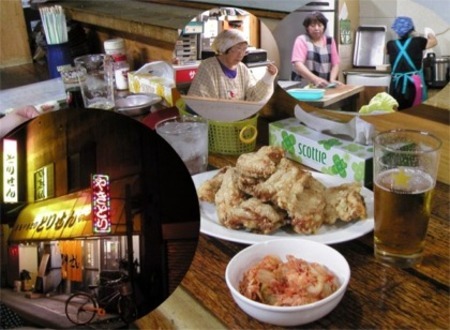 They make a unique type of サンギ which is a Hokkaido word for deep fried chicken nuggets, except at this place, they make it with the bones still inside. Sort of similar to Southern Fried Chicken. It's crispy on the outside, and juicy on the inside. On Wednesday, I had a class with the first year students at the Kosei Nursing school as usual. Every year, at least one of the new first year students, has already graduated from a junior college and has some employment experience, before enrolling in this nursing school. As such, they already have enough credits for English, in order to graduate from this school. Therefore, I sign a piece of paper saying that I acknowledge this fact, and do not require them to attend my English class. Each time I do this, the student will stop coming to my class. Except for this year. The young woman told me that she enjoyed my class so much that she wanted to attend, even though she is not required to do so. I told her how happy I was that she enjoyed my class and thanked her for continuing to attend. That made both of us feel pretty good. The rest of my classes for the week went pretty much as usual, both at home and away. The weather has been overcast, rainy and a bit cold this entire week. I hope it gets sunny and warm on this weekend. Summer officially starts next weekend.